The 2018 Jaguar XE is the newest addition to the already impressive fleet of vehicles offered by Jaguar. The XE brings a new level of sportiness and luxury to the small sedan market, with plenty of customizable options that will help make the driving experience personalized. The smooth handling of the XE combined with the aggressive powertrain options result in a formidable force that will make you forget you’re driving in a small sedan, but make you feel like you’re driving a sleek sportscar. You can find the 2018 Jaguar XE at Jaguar Colorado Springs, right next to the base of Pike’s Peak and Cheyenne Mountain! For the 2018 Jaguar XE, you get fantastic value for your money. The level of performance you get out of the XE rivals other luxury crossovers, for less money. 2.0L Turbocharged 4-Cylinder: This standard engine comes with an impressive 247-hp and 269 lb-ft of torque, making it surprisingly powerful for its class! The fuel economy for the 4-cylinder engine and powertrain is equally as impressive, reaching 25 MPG city/34 MPG highway estimates! 2.0L Turbocharged Diesel: The diesel engine option for the Jaguar XE is another strong option, offering 180-hp and 318 lb-ft of torque. This means you’re getting a power-packed engine in the shell of a small, sporty sedan! The fuel mileage for the diesel is also astounding for its power, getting 32 MPG city/42 MPG highway fuel estimates! Both versions of the base engine are powered by an 8-speed automatic transmission, specially designed by Jaguar to maximize the performance of both engines! Jaguar Sound System & HD Radio: The 2018 Jaguar XE comes with the specially designed Jaguar Sound System, offering quality audio for the enjoyment of everyone inside the cabin! Combined with the standard HD Radio, you’ll have plenty of fantastic tunes to blast on your road trips! 10-Way Electrically-Powered Front Seats: You won’t ever have to worry about being uncomfortable in the driver’s seat of the 2018 Jaguar XE, since you get 10-way powered front seats to customize your driving position! Your front passenger also gets this amazing luxurious feeling, making the XE an extremely comfortable option! 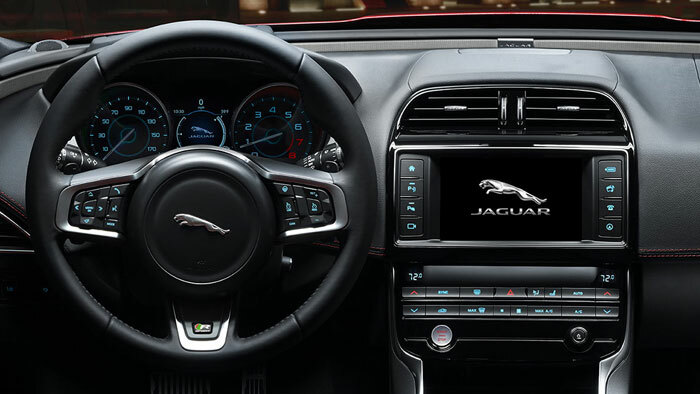 Jaguar InControl Touch: With the Jaguar InControl Touch system on the 2018 Jaguar XE, you’ll have access to a wide variety of awesome features such as climate control and radio controls. Available navigation and the InControl Apps suite can further expand your enjoyment of the InControl system as well! The artisanship and the attention to detail on the interior of the 2018 Jaguar XE is what separates it from the rest of the pack. 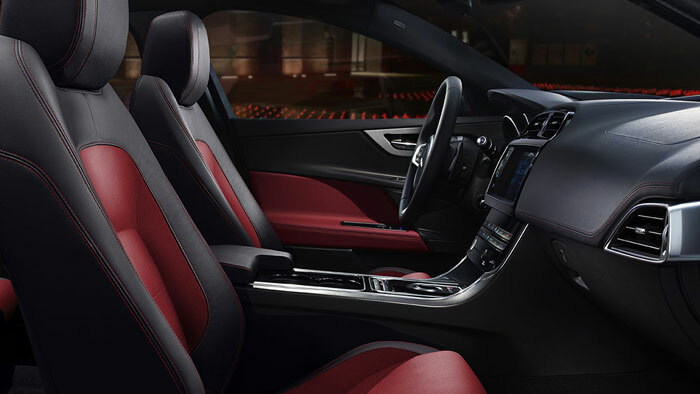 With a luxuriously-designed dashboard and UK-imported leather seating, you’ll feel like you’re in the lap of luxury every time you step into the vehicle! 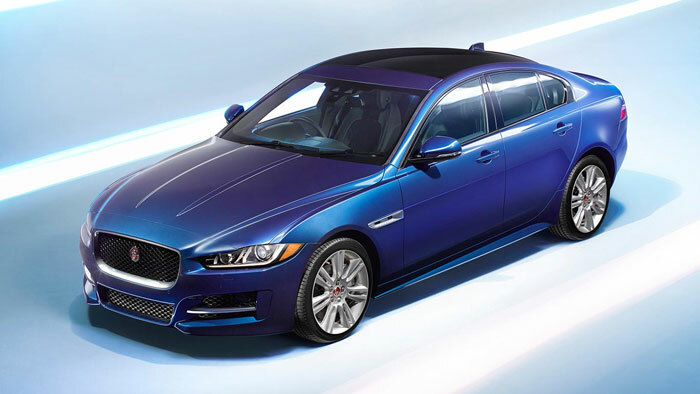 The XE is also extremely customizable with its various options, making your XE feel like it is uniquely your own! Between the built-in InControl Protect system and the InControl Remote, the 2018 Jaguar XE gives some safety capabilities directly to the operator of the vehicle! Add in the All Surface Progress Control for enhanced handling on a variety of driving conditions, and you’ll be at ease knowing your XE will be protecting you from anything you might experience! If the 2018 Jaguar XE sounds like the sedan for you, make sure you make it into the Jaguar Colorado Springs dealership today! 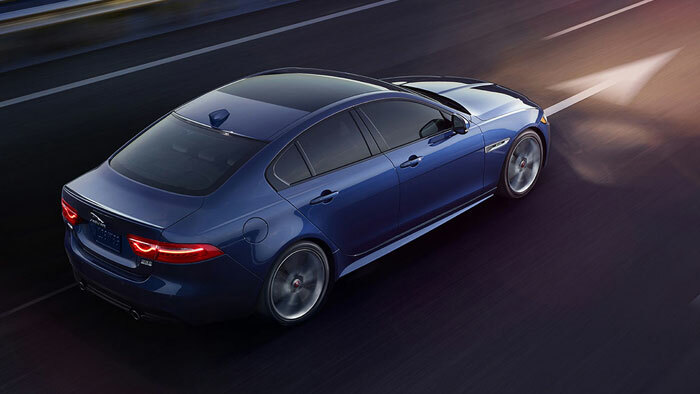 At Jaguar Colorado Springs, you’ll find a wide selection of new Jaguar models, including the 2018 Jaguar XE, easy financing, and factory-certified Jaguar service. Contact us directly or visit our showroom. We’re conveniently located near Cheyenne Mountain just south of where I-25 and Highway 24 intersect in Motor City.